The 99th Tour de France started on Saturday June 30th and is made up of 20 stages, which represent almost 2,200 miles. The runners will cover this distance in 23 days and the final stage will be, as all years, on the Champs-Élysées in Paris. The cyclists start the last week of the Tour de France. They enter in the middle of Armagnac’s area, in southwest France. Armagnac is distilled from white wine grapes, called Folle Blanche, Ugni Blanc, Colombard and Baco blanc varieties. After distillation, it’s aged in local black oak casks. A common question for consumers is to know the difference between Cognac and Armagnac. 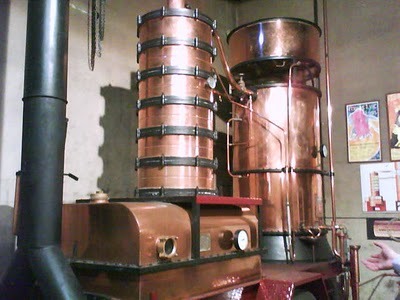 The first one is distilled twice, whereas the second is distilled only once. The result is that Armagnac has more finesse and roundness. Most Armagnac is a blend of vintages. In blended Armagnac, the label is important in order to choose a bottle. A label that says “VS” means the Armagnac has spent a minimum of two years in cask; VSOP and Reserve labels indicate five years. “XO” and “Napoleon” are aged six years and “Hors d’Age” ten years or more. The older Armagnac are better, more complex (vanilla, toffee nougat, pepper,…) but more expensive. We can also find Armagnac in the Gacony’s food. One of the specialists of this area is a salmi of quail. 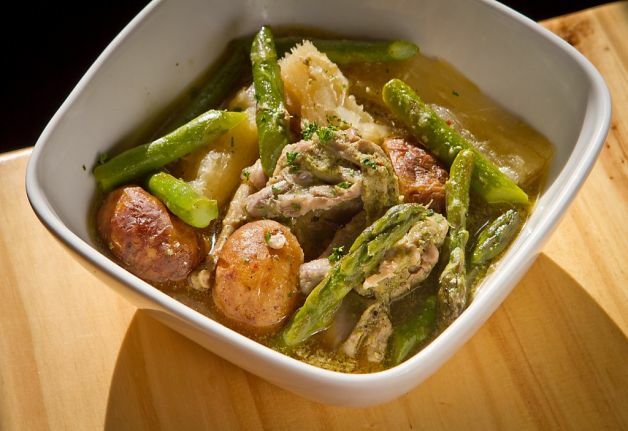 It is a stew of quail, where the portions are slow braised then simmered in onions and herbs. A great recipe for Gascogne quail can be found here.